As we all know, there are a lot of cheap people out there. Even when it comes to the internment of their loved-one's remains. 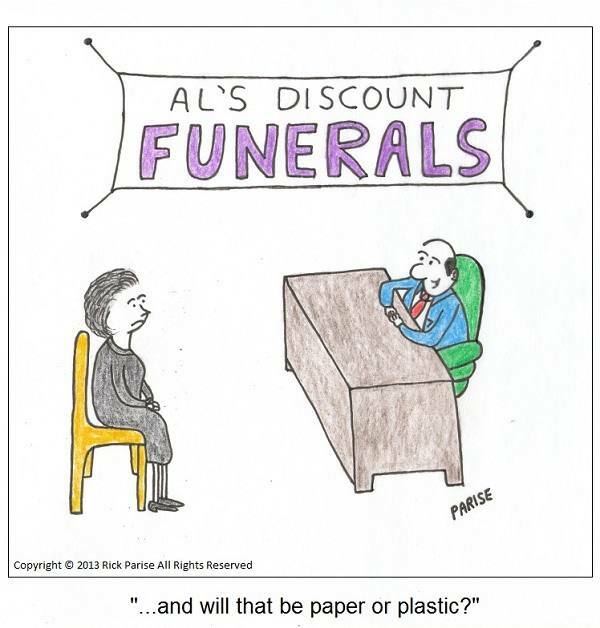 Why should they waste their hard-earned money on an expensive casket, or even a somewhat cheaper urn? That's why they go to Al's. Then all they have to do is make that simple everyday decision and they've saved a bundle, and who knows, maybe even the planet.